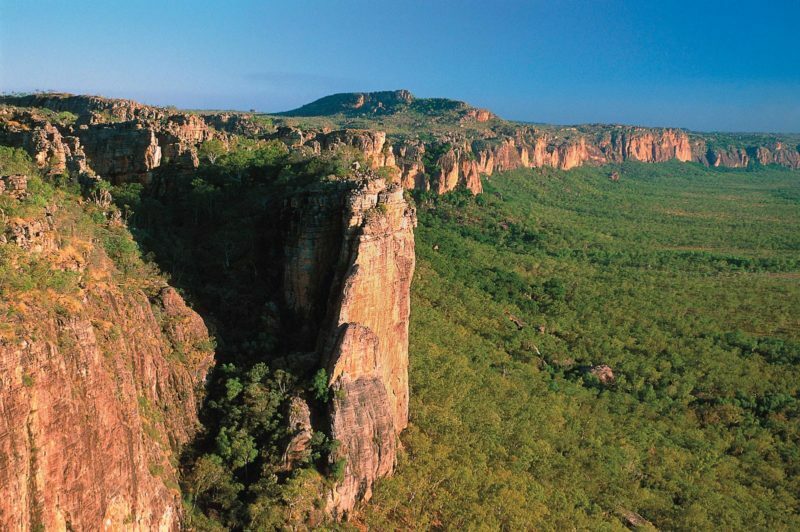 Cool crevices in the rock face of beautiful Butterfly Gorge provide shelter for thousands of Common Crow Butterflies. The rock pools provide a chance for a refreshing swim and are shaded by paperbarks up to 50 metres tall. This quiet gorge is tucked away at the base of a low sandstone plateau. 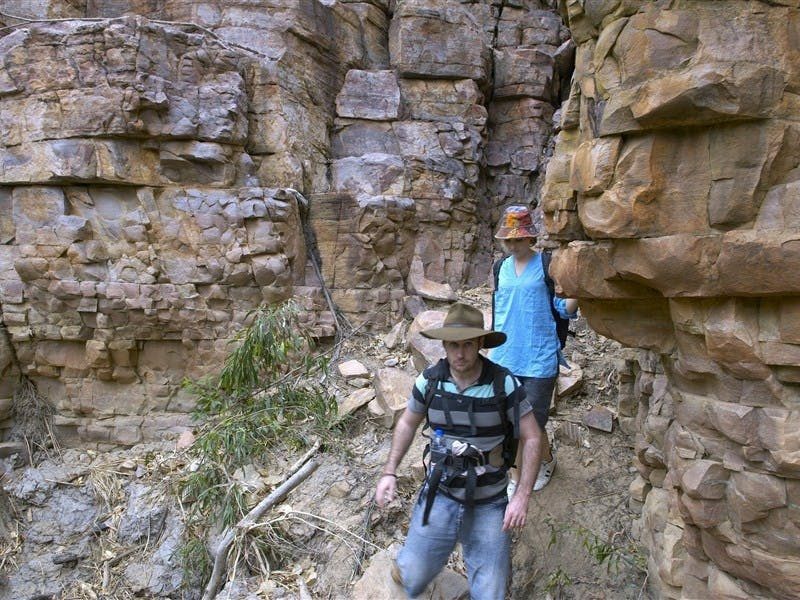 The sheer rock faces, edged by dense riverine vegetation and rocky spinifex country, offer shaded riverine walks and stunning scenery. Past logging industries removed many of the melaleucas and the timber was used to build the Stokes Hill Wharf in Darwin. The park protects a part of the Douglas River that eventually flows into the Daly River, about 50 kilometres downstream. The gorge and main swimming area are a 10 minute walk from the car park and you can swim across the main pool and through the narrow gorges to reach the upper pools. 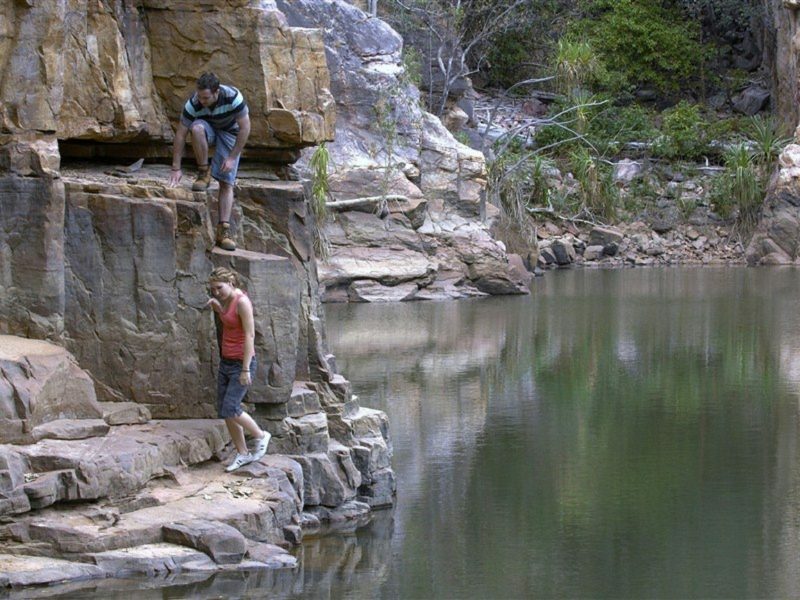 More enthusiastic walkers may climb up the rocky slopes to reach the top of the gorge with views of the rock pools. Butterfly Gorge Nature Park is usually open from May to October each year.